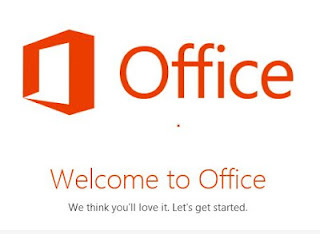 It is about time, some would think, that Microsoft made its way to app stores just like what Google and Apple thrive on (with Google Play and the App Store respectively), but while the Office Store is an application portal without doubt, it is different from the other stores in as much that it will deal in many ways with enhancing the Outlook experience and the Office 365 apps. The people at Microsoft figured out this is a great platform for developers, and that cannot be denied considering how much official work truly goes on with Microsoft Outlook – such as emailing, creating agendas and notes and memos, reports writing, analysis of data as well as daily communication. Especially in fields of marketing and management, with HR and finance, sales and content or even for informal interaction, Microsoft views the Office Store as a major potential waiting to be used well by developers. So here are just a few things Microsoft has said the Office Store may host. Connection to Exchange: With the Outlook 13 connected to Exchange, what will now occur is all your contact’s social networking details over LinkedIn, or their history of sales and other previous communication should be available to you right alongside an email which means you don’t have to open several windows to view information about different people. This can be particularly effective when you are dealing with large groups of people. Social Networks: Companies like Twitter, Legal Zoom apart from LinkedIn have set up their application on the Microsoft Store already which has all the advantages of social networking over platforms – and for Office Stores, this is a major boost of acknowledgement and a sign that others will soon add their apps here to be hosted. Britannica Researcher: Only a little while ago, the last physical copy of the Britannica Encyclopedia was printed, and now with the Britannica Researcher available on the Microsoft Office Store, users will have access to at least 80 000 encyclopedia articles from within a word document itself. We can see how well this imitates a very useful technology that Amazon Kindle’s have, such as looking up dictionary meanings and x-ray features as well as Wikipedia entries right from the middle of a book, and find this a particularly useful tool. Pingar Summaries: This app works by scanning through a word document and actually creating a summary for you – something you thought only humans could do. The fact that this requires the algorithm to actually understand and comprehend the document is pretty impressive and is what we find as one of the nicest features and integrations into the Office Store. But there is more – when you load an app from the Office Store it will follow you and remain with you regardless of where you are working for – using the powerful cloud technology so prevalent these days. If you create a document using one of the apps, then when you share it your friends and colleagues can also use the same app to create it which is great news for developers. Jem Larson is fond of following the latest trends in technology especially on gadgets, Smartphones, social media, networking, internet and computers. She is currently working for buyVerizon.com - a site that offers savings and current information on Verizon internet.